- Last but definitely not the least - my graphic novel in progress, Witchmarked, has been shortlisted for the LDC Prize!!! (excuse the exclamation marks) The two-day festival last weekend included a review with an amazing comic artist Una, presentations from publishers such as Unbound, Self Made Hero and Myriad Editions and an evening reception (with wine) where the winner, Niki Banados, was announced. Although I didn't get the first prize, I received one of the runner-up cash prizes, and had a chance to meet so many amazing people. I am still buzzing from the excitement of last weekend! - Next thing on the agenda would be to get on with my Uni work, and prepare a poster for the upcoming Get Published! conference at Oxford Brookes, where I will be presenting. No rest for the wicked (although with the Easter hoildays coming up, spending time with the kids and much-needed chilling time is definitely on the cards...) As always, keep up with my news/updates on my Instagram account @irinarichardsart Enjoy your Spring and #staycreative! 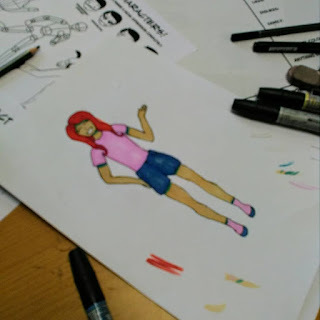 Back to School update + Artist Teacher Scheme! "I learned to let my imagination run wild sometimes"
"I learned how to draw and adapt my style in different ways. It also helped me overcome my social anxiety (I only had a little) and I'm glad I went here. I am going to miss you all"
"The best thing was that I was around people that liked what I do"
- This summer, I was also part of Bradford Literature Festival - it was amazing, and I really want to go back and take part in Bradford Comico, an up-and-coming comics, manga and book-related mini-convention. I discovered so many talented creators! - I've been working on a new graphic novel - as a historical fantasy set in early medieval Britain, it couldn't be more different from Chemical Blue! I'm absolutely relishing the creative process, and wish I had more time to spend on it. - Last but most definitely not the least... I have gone back to University! I am studying on PGCert Artist Teacher Scheme at Oxford Brookes. So far, it has been absolutely mind-blowingly amazing. The course is run in partnership with Pitt-Rivers Museum in Oxford - if you have a chance, please visit it, it's incredible! I have only just started the course but it has already broadened my horizons and made me re-evaluate my practice as an educator and artist. I intend to regularly document my progression on the course, so watch this space! 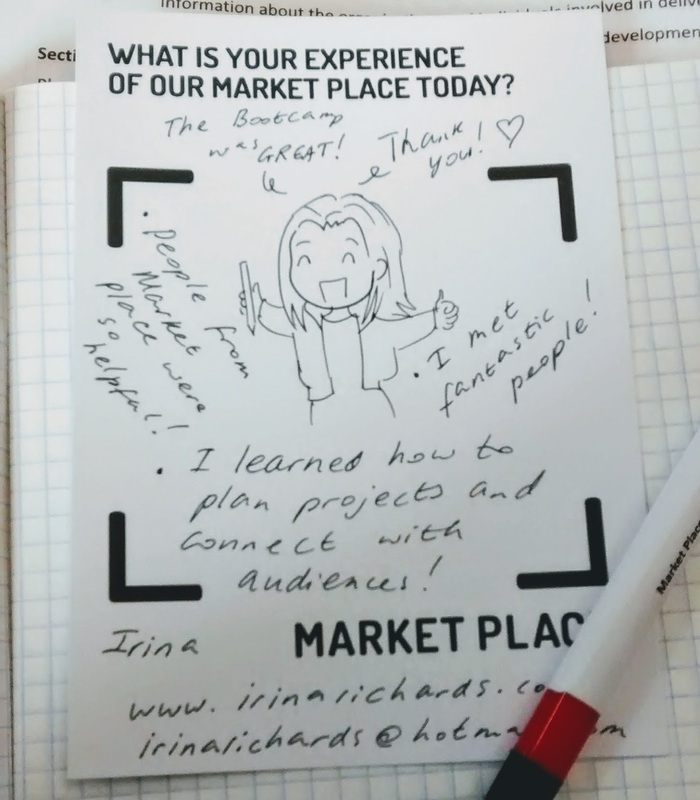 - As always, keep an eye out on my Workshops and Events page for details of upcoming events, and keep up with my art and stuff on my Instagram account @irinarichardsart Enjoy the new school year and #staycreative! Update + "But they don't teach manga at school..."
Hi everyone! How's your summer going? I've been quite busy both at home (with three kids out of school/nursery life can become a bit manic!) and art-wise. I've been leading manga workshops at Newmarket Library and have come across many young people who are genuinely interested in drawing, improving their skills, and manga/anime/comics. They have been a pleasure to teach! In my workshops, I often come across people saying "I wish they taught manga at school", "but in art lessons we don't do anything manga/anime related" etc. First and foremost, I have to say - your art education doesn't finish the time your school day finishes. 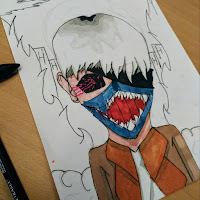 You can always continue to evolve and develop in your own time - practice, sketching, following video tutorials on YouTube, anything that helps you. 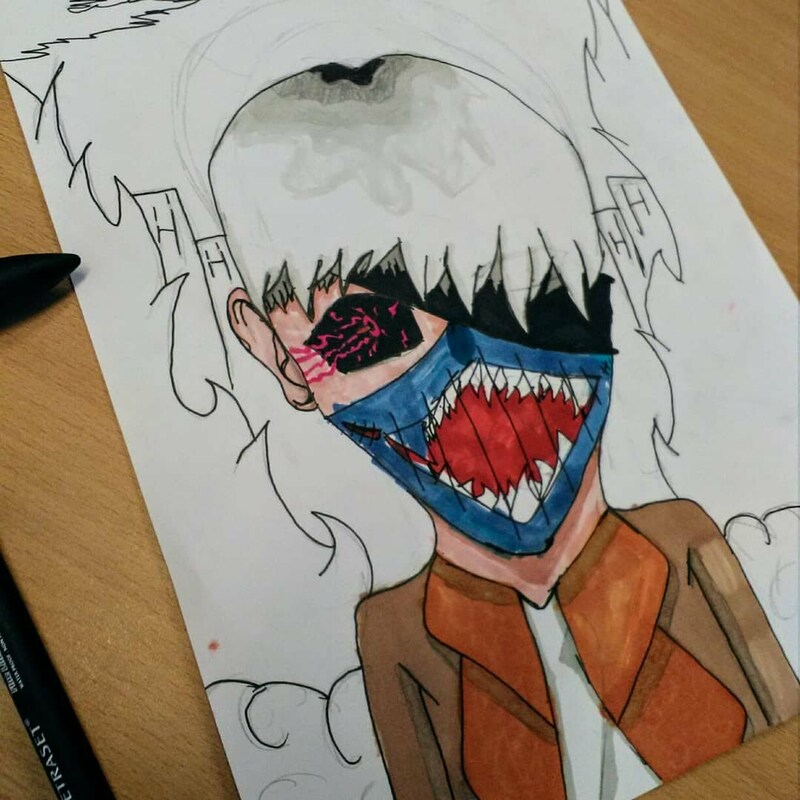 If you want to draw manga - just do it! 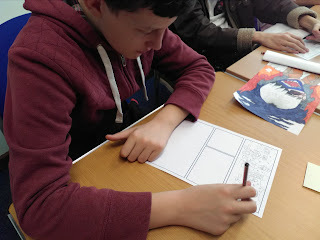 Having said that, it's always nice to come across teachers/courses that are supportive towards budding manga artists. 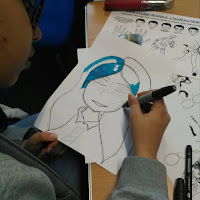 I have recently found out about Online College of Art and Design - it is part of Cambridge Online Education that offers a range of online courses, from GCSE level to Foundation degrees. But the main reason that this college caught my eye is that it offers manga as one of their Art&Design pathways! 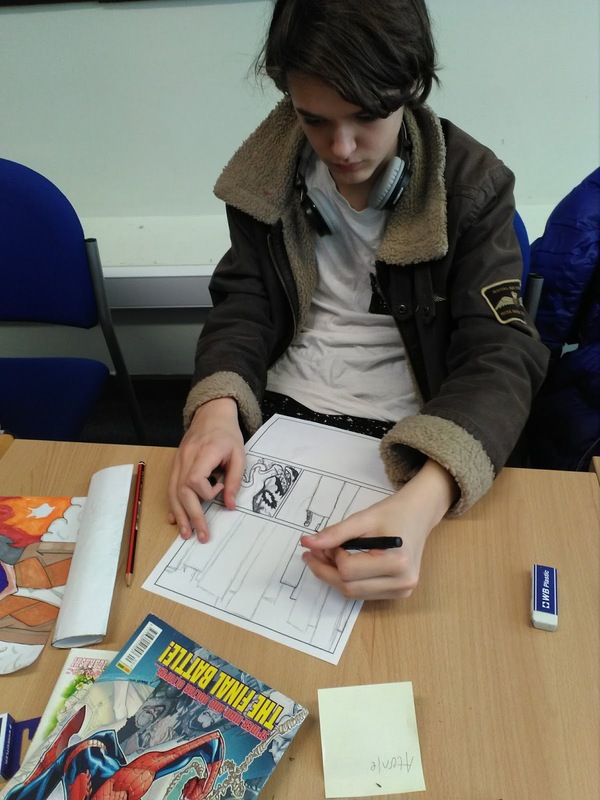 So if you want to work towards a GCSE/BTEC level qualification while pursuing your special interest in manga, this course enables you to do so. It's always great to see manga-style illustration to be more accepted! Please see the College's website for more info! Another very good option is, of course, the Arts Award - I have been an Arts Award adviser for a number of years, and I have to say it's a really good programme to be a part of. 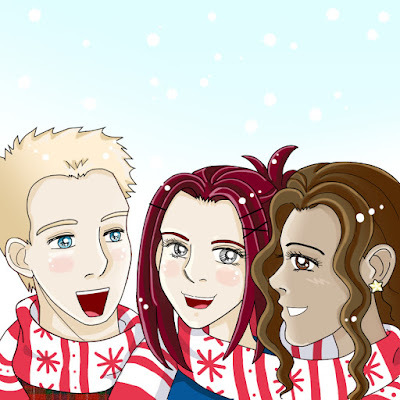 Not only does it allow for creative freedom (you can practice any art form you choose!) and gives you a recognised qualification, it also lets you develop leadership skills. You can find a centre in your area and join up any time if you are up to 26 years old! So don't limit yourself, explore your options - and #staycreative! Hi everyone! Welcome to the new year! Many thanks for all those who came to Linton Children's Book Festival today! 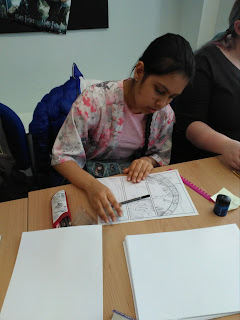 I enjoyed drawing portraits, and the drawing session was fantastic (and very lively). Hope you all had a good time ^^ Lots of photos from the festival are here!